Anglian Home Improvements have launched their new sale offering 50 off our EcoGain windows – but what is an EcoGain window and how will it help reduce your energy bills? Well, an EcoGain window is Anglian’s very own A-rated window, a high performance product that not only prevents draughts and keeps heat in your home, it also adds heat to your home. This is how it helps reduce your energy bills, as if more of the sun’s energy is heating your home (for free!) then you won’t need to have your heating turned up so high, if on at all! Windows are as you know rated in a similar way to white goods; the 3 key factors being thermal transmittance (U-value), the solar factor (G-value) and the air leakage (L-value). U-value = The thermal transmittance of the window measures how good it is at preventing heat loss, therefore the lower the U-value, the less heat will be lost. G-value = This measures the solar factor, which essentially is the amount of sunlight passing through the glass. L -value = This gives a rating for the amount of air leakage, testing how air-tight our windows are. So, how do our windows rate against that explanation? Let’s get techie! Anglian’s EcoRetain windows are a quality product, but with our constant striving towards raising the standard, leads us to our EcoGain windows. Although there is already zero leakage in our EcoRetain windows, we wanted EcoGain to perform even better, which is why we developed Low Iron Glass. This intelligent pane of glass increases the amount of sunlight which passes through the window into your home, meaning more heat is entering and not escaping! 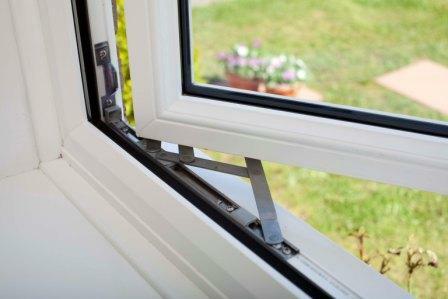 The EcoGain window also performs and looks better thanks to the new Clearline spacer bar. Unique to Anglian, this new technology reduces the ‘thermal bridging effect‘, which is the transference of the cold outside to the inside through the materials of the window. The end product is an attractive, high performance casement window that will save you money on your bills. Of course this varies, as the type of window you have installed currently will alter the amount of money you could save – but here are a couple of examples to give you an idea. These were calculated using the Glass and Glazing Federation’s specially made energy savings calculator. If you are upgrading from single glazed timber windows and have electric heating, installing EcoGain windows can save you a whopping £325 a year! This is great, although the majority of houses have moved on from single glazed timber windows. 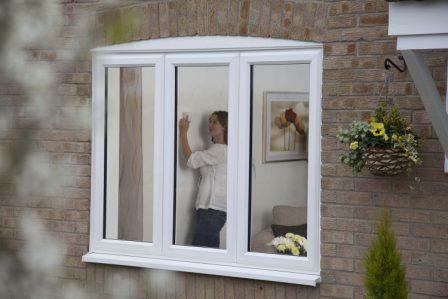 Should you have double glazed uPVC windows installed pre 2002, having our EcoGain windows will save you £156 each year. These are vital pounds that stay in your wallet and can be spent elsewhere other than going to the gas or electric company, especially helpful in this tough economical time. So, with the help of Anglian’s EcoGain windows you could upgrade your home’s energy efficiency and downgrade your energy bills. Lovely job! If you would like more information about our EcoGain windows or would like to see one, give us a call on 0800 500 600 and arrange for a specially trained advisor to visit with a sample or visit a showroom in your local area.